After seeing the first gameplay for ModNation Racers at E3 2009, the community-based racer has its own official trailer. Sony Computer Entertainments new LittleBigPlanet-type racing game combine’s user created tracks and endless fun with friends to create the ultimate racing experience for the whole family. For gameplay, ModNation Racers is like any other kart-racing game such as Mario Kart. The creation tools are easy, allowing users to construct their own tracks and the surrounding area. 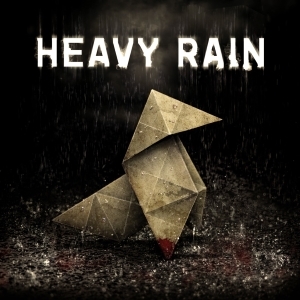 Players can add houses, mountains, trees, and even water, creating a good background for the mood the creator wants to create for the track. ModNation Racers is set to hit the Playstation 3 in 2010. A real Slim PS3 in the open? Rumor: First photos of a Slim PS3? With the Electronic Entertainment Expo rapidly approaching, rumors have already been thrown around the internet. One of the many interesting and exciting rumors that has been spread is highly debatable. While Sony has said that they will not be releasing any new versions of their PlayStation 3, a rumor has popped up “revealing” a slim version of the PlayStation 3, obviously named PS3 Slim(go figure). One of the most obvious changes besides the size and shape is the main logo on the middle of the PlayStation 3. The logo is different than what had originally debuted on the original PS3 which brings up suspicions since the different versions of the PlayStation 2 never differed in logos. Another interesting detail seen on the box is the 120 Gigabyte hard drive logo. Could Sony be looking to make a version with a hard drive in-between their 80Gb and 160GB systems to give a cheaper version and compete with the Xbox 360 Elite? What I must say is that if this turns out to be true, this system looks hot. Sony could be looking for a slimmer, cheaper version to debut on the market and to be able to sell their system to more gamers to develop their PlayStation 3 fan base. Could this actually help Sony to overcome their loss of a fan base this console generation? Only time will tell. A new trailer showing off gameplay for Naughty Dog’s sequel to Uncharted, Uncharted 2: Among Thieves, has been released. The game looks great and is very interesting around the actions and looks to be a better game than the original. Wanted to see Empire City in real time with real gameplay? Here’s your chance, as the new trailer for inFamous has just what you wanted and more. Showcasing not only Empire City, the new trailer also shows real-time gameplay. inFamous hits stores May 26th 2009. On Sony’s official US Playstation website, a teaser was posted for an upcoming announcement for Monday, April 27th. 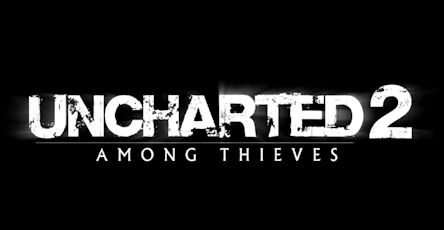 Teased to be “Electrifying”, the teaser shows two games, inFamous and Uncharted 2: Among Thieves. What is Sony planning for their upcoming announcement this Monday? Is something tied in between inFamous and Uncharted 2? Many questions and more will be answered this coming Monday. UPDATE: It seems as though websites are reporting that the final release of inFamous could include some sort of beta code/version or demo. None of these reports have been proven as true, so don’t forget to take a grain of salt with them. During a recent episode of GameTrailers TV, Managing Director of Guerrilla Games, Herman Hulst, announced that a map pack would soon be available as downloadable content for his most recent game Killzone 2. Named the Steel @ Titanium pack, the realm of Killzone 2 multiplayer is taken back to where the fans of its single player mode enjoyed the most. Fighting inside the ISA tech cruiser, the gameplay is changed to a more vertical aspect. The cruiser features multiple decks, so the player can be shot at from above or down below, making finding good cover and maintaining the spot a challenge. On the steel map in the pack, players start at the beginning of one train and fight to the end of the other train,while being able to hop from one train to another. However, caution is needed while jumping across due to the harsh environment in between the two trains, which can smash the player off of the trains, sending him or her to an painful but quick death. Players can expect the pack by the end of April.